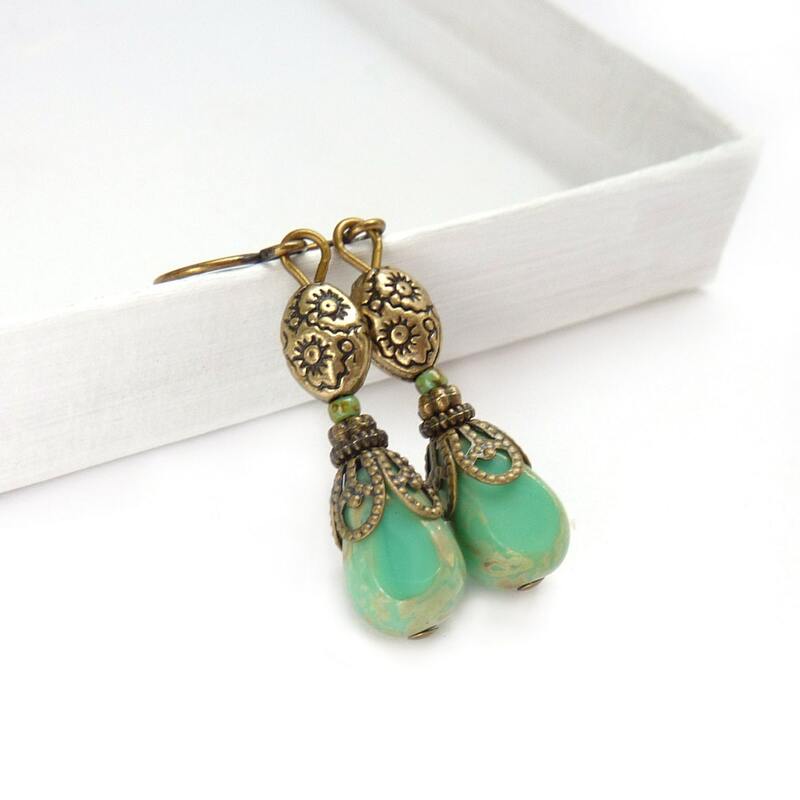 Turquoise earrings made with vintage style Czech glass that includes a warm antiqued Picasso finish on the edges. I attached antiqued bronze bead caps, added a small bronze oval bead and wire-wrapped them onto bronze ear wires. They're petite and very romantic. * If you prefer a lever back wire, just let me know in the Notes to Seller at check-out.